Below you can view all the townhouses for sale in the Vinings Crest subdivision located in Smyrna Georgia. Listings in Vinings Crest are updated daily from data we receive from the Atlanta multiple listing service. To learn more about any of these townhouses or to receive custom notifications when a new property is listed for sale in Vinings Crest, give us a call at 404-998-4102. Backyard Consists Of Patio And Privacy Fence. Check Comps, Priced To Sell! MLS#6530785. Compass. High-End Fixtures, Hardwoods & Fully-Fenced Back Patio! MLS#6525024. Dorsey Alston Realtors. Come See For Yourself & Youll Understand Why It Wont Last Long! ! MLS#6520834. Keller Williams Realty Atlanta Partners. The Kitchen Has All Of The Updates You Are Looking For In This Like New Townhome Recently Built In 2014. MLS#6518211. Realty One Group Edge. Fenced Backyard For Privacy.... Close To Suntrust Park & Vinings Jubilee. MLS#6127565. Atlanta First Realty Group, Llc..
All Of This In A Gated Community Less Than 2 Miles From The Battery Atlanta, Vinings Jubilee, Cumberland Mall & I-285/I-75. MLS#6122693. Berkshire Hathaway Homeservices Georgia Properties. 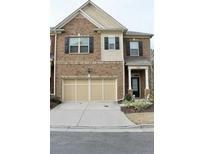 Vinings Crest By Pulte Homes Is A Gated Townhome Community. MLS#6122894. Keller Williams Rlty-Ptree Rd.